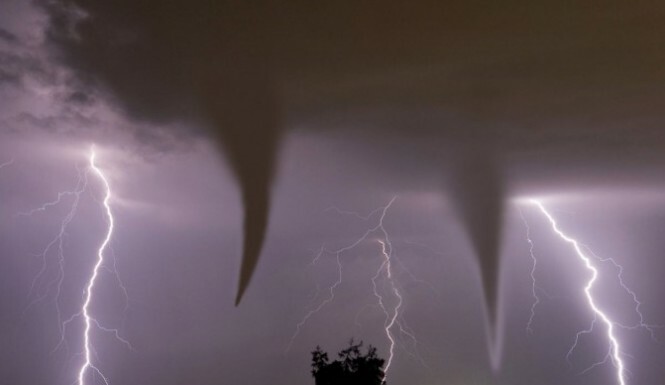 WASHINGTON (Reuters) – Tornadoes in the United States are increasingly coming in swarms rather than as isolated twisters, according to a study by U.S. government meteorologists published on Thursday that illustrates another trend toward extreme weather emerging in recent years. According to a study published by government meteorologists in the journal Science on Thursday, tornadoes are increasingly coming in swarms, meaning on the days a tornado hits, it is far more likely that several more — possibly dozens — will occur that same day. Researchers looked at tornado activity over the past 60 years and found that although the number of the deadly storms occurring each year had remained relatively steady, since the mid 1990s they have been more likely to come in swarms over fewer days per year rather than as isolated tornadoes spread throughout the season. On the list of the 10 single days with the most tornadoes since 1954, eight have occurred since 1999, including five since 2011. That year alone had days with 115, 73, 53 and 52 twisters. The meteorologist who led the study, Harold Brooks of the U.S. National Oceanic and Atmospheric Administration’s National Severe Storms Laboratory in Norman, Oklahoma, said emergency management agencies and insurers should be prepared to deal more often with days with lots of tornado damage. The study analyzed the official U.S. tornado database for the six-decade period ending last year, excluding twisters below Category F1, with wind speeds of 73-112 mph (117-180 kph), on the Enhanced Fujita Tornado Intensity Scale. Some experts have blamed weather intensity seen in recent years on global climate change they attribute to human activities. This study did not, however, offer a conclusion as to a cause. “Knowing that the climate now has changed from that of the 1970s makes for a circumstantial argument in favor of a changing climate playing at least some role in the tornado changes,” said meteorologist Patrick Marsh of NOAA’s Storm Prediction Center. “There are indications that heavy rainfall events are occurring with greater frequency globally, and given a warmer climate, this makes sense,” added Storm Prediction Center meteorologist Greg Carbin. But “any trend in tornado events is much more difficult to discern,” Carbin added. The average number of days annually with at least 20 tornadoes has more than doubled since the 1970s to upwards of five days per year in the past decade. For days with at least 30 tornadoes, there has been an average of three per year in the past decade, compared to 0.6 days per year in the 1970s. 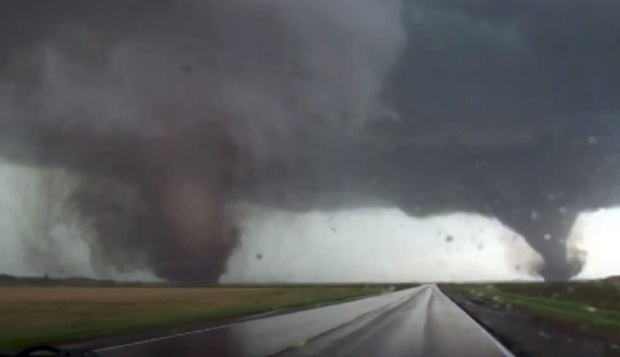 Records for both the most and fewest tornadoes over a 12-month period have come in the past five years, with 1,050 from June 2010 to May 2011 and 236 tornadoes from May 2012 to April 2013. May is the month with the most tornado activity, followed by June and April. Tornadoes, rapidly spinning columns of air usually spawned by rotating thunderstorms, can be among the most violent weather events. They have been reported on every continent except Antarctica but most often hit a U.S. region covering the Great Plains and parts of the Midwest and South. Tornadoes can cause extensive loss of life and property damage like the May 2011 twister in Joplin, Missouri, that killed about 160 people and wrecked thousands of homes.